Get on board of the Aqua Luna and go on a ride along the beautiful Victoria Harbour, or enjoy the breathtaking views of the city in one of Hong Kong’s roof top bars. Either way we’re sure you’ll have the best time! For generations of members, the Aberdeen Marina Club has been far more than a Club, and nothing less than a privileged haven since its foundation in 1984, on Hong Kong’s green South Side. The Aberdeen Marina Club has a site area of over 550,000 square feet. 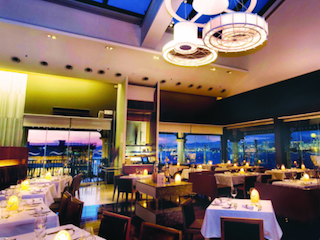 It operates six restaurants and eight banqueting venues. It is located in the Aberdeen Typhoon Shelter adjacent to the Ocean Park. It is fifteen minutes from downtown Central via the Aberdeen Tunnel and only minutes from Stanley on the south side of the island. Aqua Luna ride is something really interesting to try out in Hong Kong. 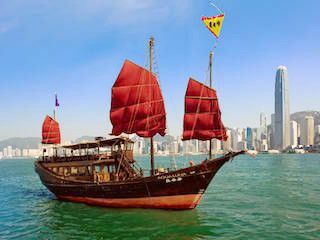 The “antique” junk boat will pick you up at the Kowloon or Central pier for an arranged seat in Victoria Harbor. Catering and entertainment can be arranged on board. 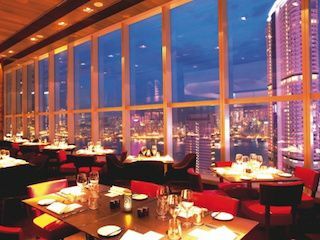 Since its opening in 1994, Cafe Deco – the originator of the show kitchen concept in Hong Kong – has remained the largest restaurant atop The Peak, Hong Kong most famous landmark. 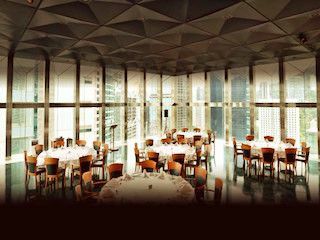 Set amongst Art Deco-inspired surroundings and against the most stunning views of Hong Kong world famous harbor and skyline, Cafe Deco two levels – dramatically linked by a sweeping spiral staircase, offer over 15,000 square feet of dining with a 600-seat capacity. It was founded in 1866 for the Portuguese Community in Hong Kong to meet and promote the Portuguese Culture. The Club has been in the same location since mid-1920s and is still a place where locals can enjoy the original Portuguese food. The facilities are modern and offer great views of central district. Private events can be held at the racecourse at one of the restaurants or in private rooms. It is one of the two racecourses for horse racing in Hong Kong. 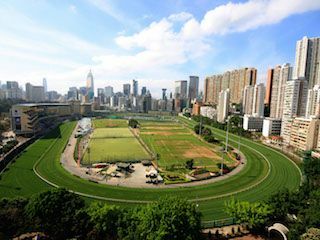 The racecourse is located in Happy Valley on Hong Kong Island. 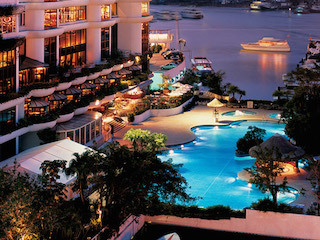 Watermark boasts a stunning 270-degree view of the busy working Victoria harbor. The elegant stone entranceway and water feature take you into Watermark’s sleek interior of teak, marble and glass. Ideal for events and parties, the menu focuses on fresh seafood and Watermark’s very own dry aged steaks. 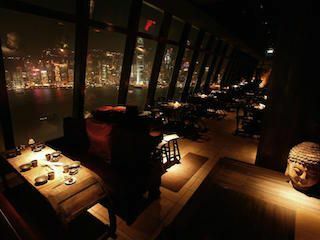 Hutong offers a stunning view across the harbour. Paired with a modern interpretation of traditional chinese foods and an amazing ambiance, it makes for the perfect evening. 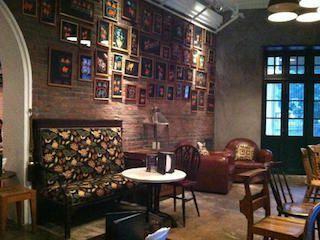 Located in one of Hong Kong’s heritage colonial buildings from the late 19th century, the Pawn is one of the coices for locals and tourists wanting to appreciate the views of Wanchai. After an extensive two month renovation The Pawn has reopened under the culinary direction of Michelin-starred British chef Tom Aikens. 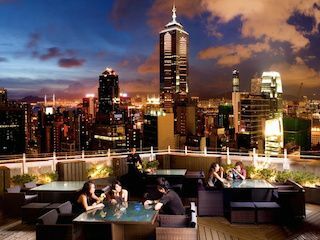 As an established member of Hong Kong’s grill house circle, wooloomooloo group has developed three successful brands, Wooloomooloo Prime, Wooloomooloo Steakhouse and The Chop House, at prominent locations in Hong Kong. Within the cozy and contemporary décor of their restaurants, you will find professional staff serving a delightful meal in an intimate, welcoming atmosphere. 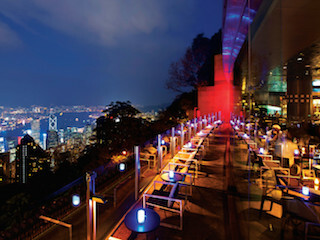 The famed Azure Restaurant Bar, located on 29th and 30th floors of the LKF hotel, has been bestowed numerous honors. Guests can step out onto the patio to experience the open fresh air and amazing views of Central while enjoying a glass of wine or a cocktail. Azure’s unique ambience is a preferred venue for parties events in Hong Kong and is further enhanced by the restaurants international chefs, who proudly feature their ever changing modern cuisine.